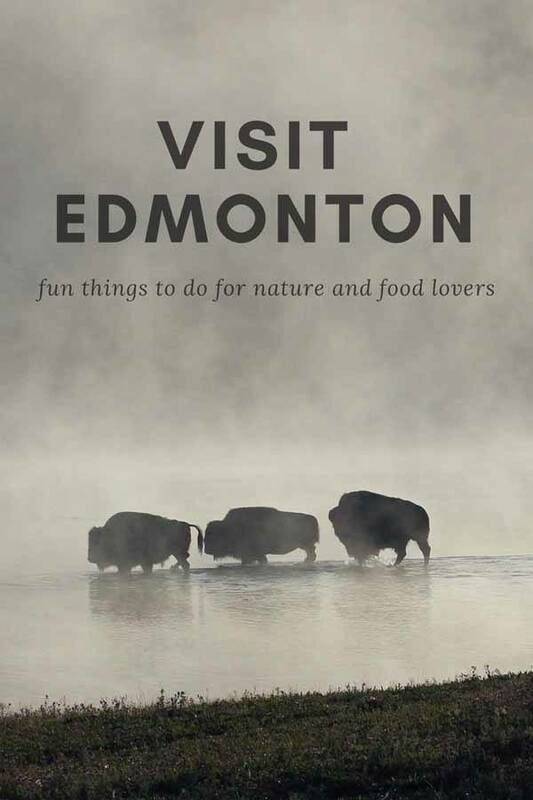 Welcome to our first post from Canada – things to do in Edmonton for hipsters, foodies and nature lovers! We’ve left Edmonton barely a week ago, but we’ve decided to put this post together as quickly as possible because we just loved the city! For some reason, we both always wanted to visit Edmonton. Nick’s reason was that one of his friends lived nearby – well, we later found out that he lives much closer to Calgary, but that’s another story – and my reason was that Edmonton is home to the largest stretch of urban parkland in North America. In Edmonton, nature looked as if it was always about to burst through the concrete seams of the city. As we drove into town, we saw a hare hopping across the street, and a pair of Canada geese walking gingerly through a car park. Every other street corner seemed to have a little park for people to enjoy – and I haven’t even mentioned the spectacular river valley along the course of the North Saskatchewan River, with over 20 parks, nor Elk Island National Park, about half an hour from the city. Amazing nature just a short drive from Edmonton! 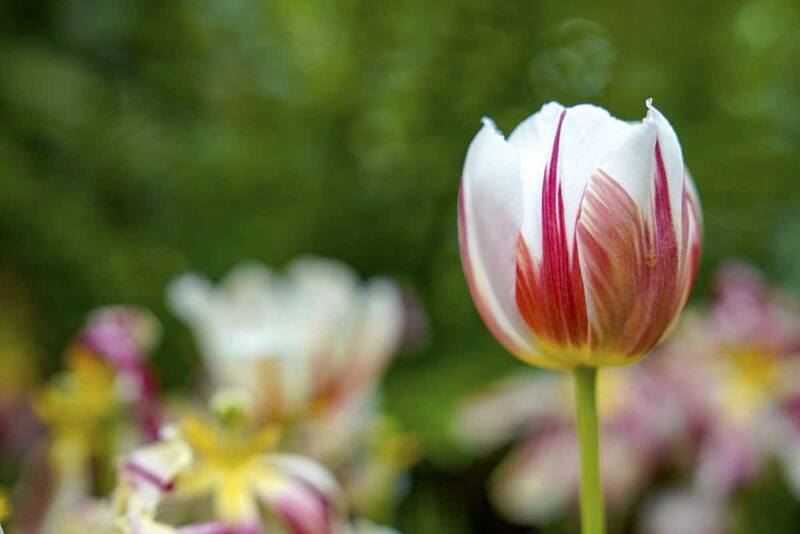 Yes, that’s right – there are plenty of things to do in Edmonton for nature lovers. And even if you don’t care so much for nature, you’ll love the city atmosphere – Edmonton is vibrant and chilled out; it’s artsy, sporty and adventure-loving. It has a vibe that we both defined (don’t hate me, please) hipster-in-the-making – with plenty of eccentricity, minus the pretentiousness. 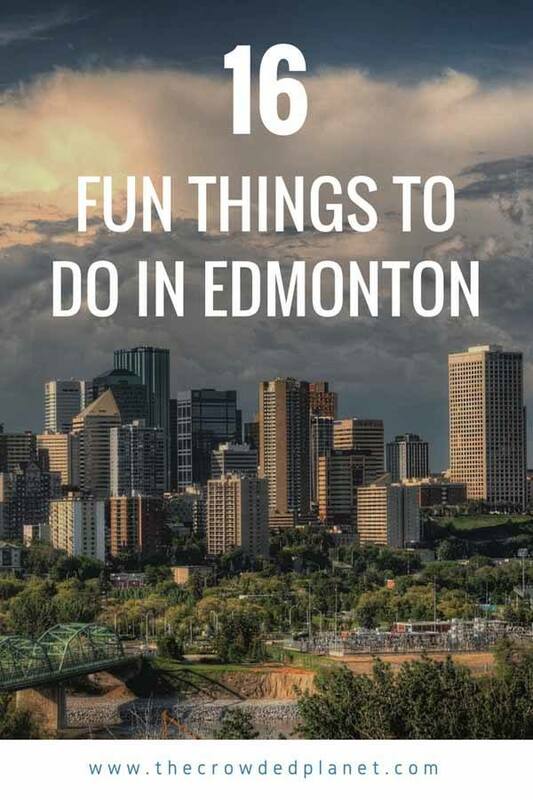 Check out our favourite things to do in Edmonton, why we loved it, and why you’ll love it too! 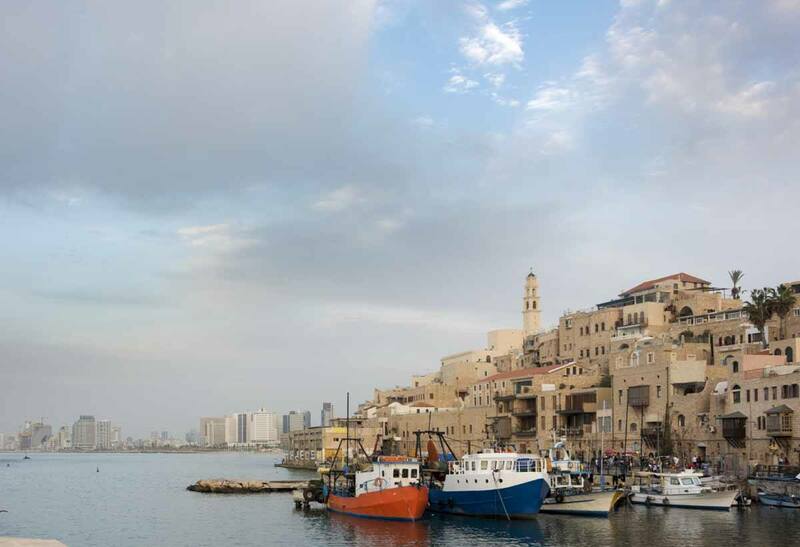 First things first – let’s have a look at the city. You’ll notice it’s pretty much bisected by the North Saskatchewan River, that creates a deep river valley. The river floods approximately every 20 years, and for this reason Edmonton’s river valley is not built up. The city extends both north and south of the river – the city plan is the usual grid found in many North American cities. Looking at a map, horizontal roads are called Avenues and vertical ones are Streets. The numbering system of Avenues starts from the south and increases going northwards, and with Streets it goes from east to west. Edmonton is fairly spread out, with things to do located both to the east and the west of town, and on both sides of the river – not to mention all along the river valley. Edmonton points of interest are located in three main ‘hotspots’ – Old Strathcona, located south of the river and around the section of 82th Avenue (known locally as Whyte Ave), roughly between 109th and 99th street; Downtown, north of the river and with Jasper Avenue as its main drag, and the Westend, surrounding 124th street between 103rd and 109th Avenue. Old Strathcona and the Westend are both about half an hour walk from Downtown. If you don’t feel like walking, you can also get between Old Strathcona, Downtown and the Westend with public transport (called ‘public transit’ in Canada) – the High Level Tram and LRT are the most convenient ways to cross the river, then you can hop on a bus going east or west, depending on where you need to go. The Edmonton Transit website and Google Maps would be the best tools to use to get info on buses. 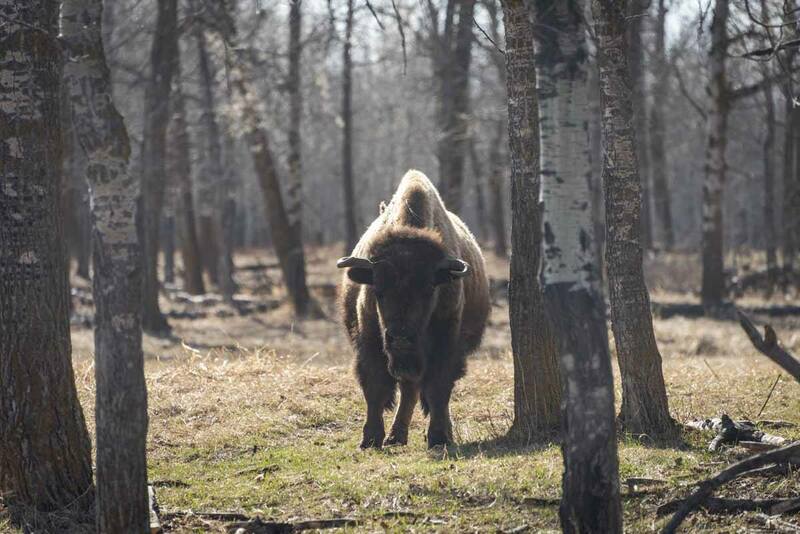 Not to be missed thing to do in Edmonton – look for bison! If you’ve followed us for a while, you know we love street art. Nick interviewed a street artist in Dresden – I was already into street art in the Nineties, before it was cool. Check out my street art in Milan post if you don’t trust me! 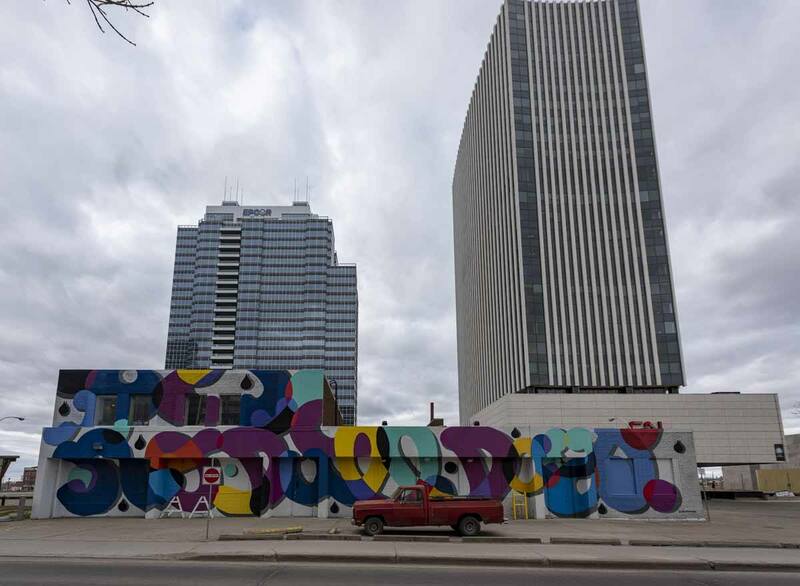 The abundance of street art was one of the first things we noticed as we drove into Edmonton. Nondescript façades and side walls of random buildings had been painted up with vibrant colours and a variety of subjects – cartoons, giant faces, geometric shapes. However, unlike in places like Athens or Berlin, we saw very little ‘guerrilla’ street art – most (if not all) pieces seemed to have been commissioned. The following day we went for a walk around downtown Edmonton with the lovely Linda Hoang, an Edmonton local blogger and guide. 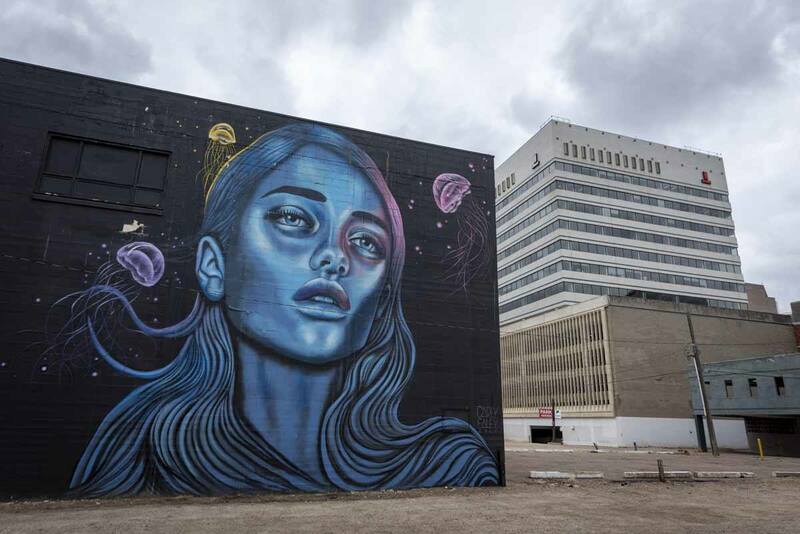 Linda confirmed us that street art is on the rise in Edmonton, and every summer, a local artist collective called Rustmagic organises a street art festival, inviting local artists from Canada and beyond to create artworks in walls arount the city. Some of these pieces make for perfect Instagrammable Walls – check out #IGWallsof YEG on Insta to see what I mean! You’ll find several walls around Whyte Avenue in Strathcona, and also in the Downtown area – Linda took us for a walk between Jasper Avenue and 104 Street, and here are some of the walls we saw. Just keep your eyes peeled, and no doubt you’ll find some! 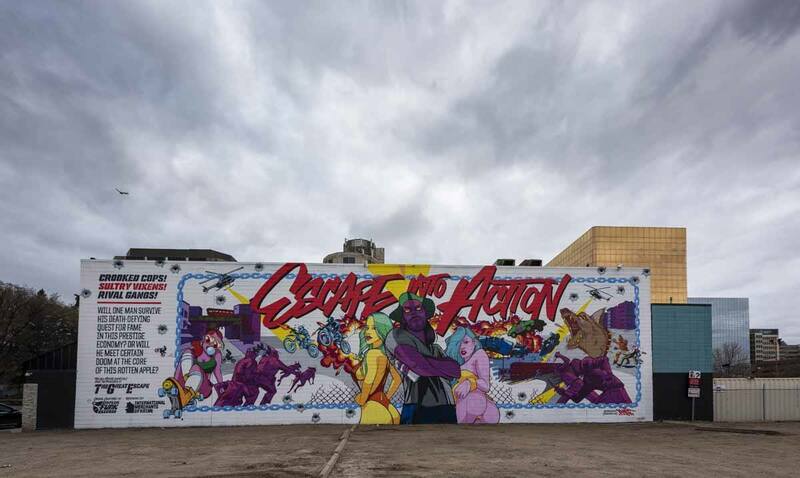 Check out Rustmagic to see where you can find the best murals in Edmonton! Strathcona was a city located just across the North Saskatchewan river from Edmonton. It was founded around 1870 by a community of farmers and fur traders, and existed as a separate city until 1912, when it was annexed to Edmonton. 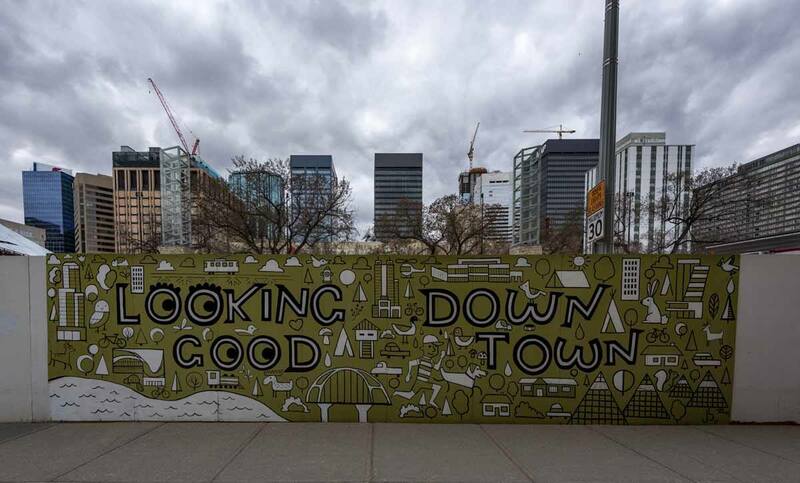 Nowadays, the neighbourhood known as ‘Old Strathcona’ is one of Edmonton’s coolest – it’s located around Whyte Ave, about half an hour walk from the downtown area. The stretch of Whyte Ave between 103rd and 104th Street still preserves some of the original commercial buildings, like the Strathcona Hotel and Princess Theatre. We spent a whole afternoon wandering around Strathcona – it was unseasonably warm, and the whole town seemed to be out in droves, enjoying refreshing tequila cocktails from El Cortez and chilled blood orange gose from Situation Brewery. If you’re after some shopping, Whyte Ave is worth a visit for its cool boutiques – my favourite was Junque Cellar, a basement shop located at 10442 White Ave, full of all kind of weird stuff, from vintage clothes to books and even cassette tapes. Visiting Strathcona was definitely one of the best things to do in Edmonton for us! One of the things I liked best about visiting Edmonton was that the local government clearly put a lot of effort into revitalising parts of town, and did so in a fun, creative manner. 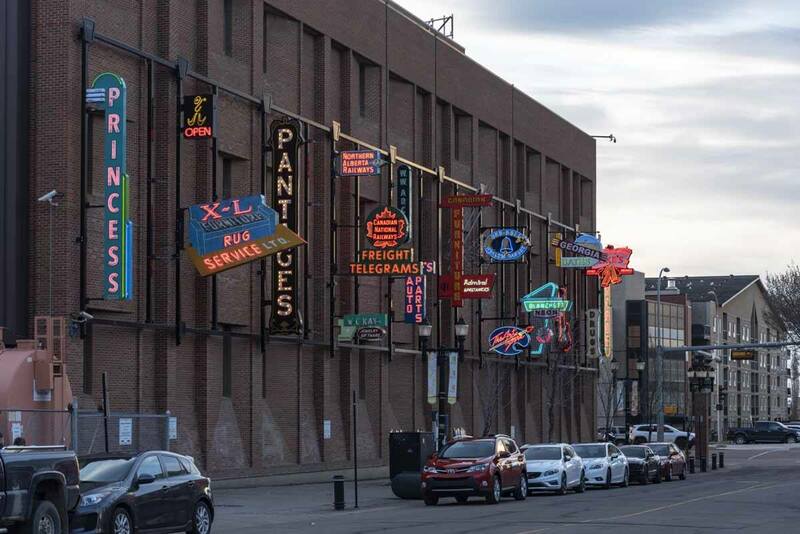 The ‘Instagrammable walls’ were one example – another is the Neon Museum located along 104 Street, close to Jasper Ave. About 20 vintage neon signs were saved from the rubbish tip and given new life on the side of a building, where they’re lit up every night. If you can, visit at night to see the Neon Museum at its best – perhaps combine this with a dinner at Rostizado, a Mexican restaurant specialising in rotisserie meat. Neon Museum – doesn’t it look cool? The Neon Museum collection is always expanding, so if you visit again after a few years, you may find new signs on display. 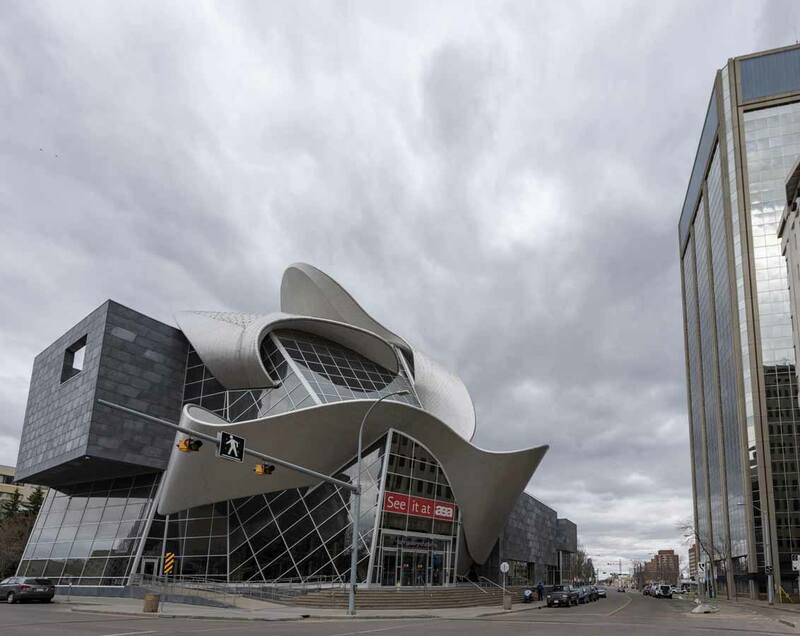 The striking, curved glass and steel building will probably be the first thing you notice when visiting the Art Gallery of Alberta, located right next to the pyramid-shaped Edmonton City Hall. The art gallery was previously located in a Brutalist style building, which was extensively redesigned by Randall Stout in 2010. The architect took inspiration from Edmonton’s northerly position – the most prominent feature in the redesign is a 190 metre ribbon of curved steel, a reference to the North Saskatchewan river and the Northern Lights, that frequently dance over the city in winter time. The art gallery houses temporary exhibition and rotates pieces from its large collection in spaces on three floors. It is especially known for its collection of Inuit, First Nation and Métis artists. The street is also a foodie destination – if you can, don’t miss visiting RGE RD, a creative modern Canadian restaurant serving the ‘farm to table’ cuisine that is all the rage in Edmonton these days. If you are visiting Edmonton in summer, make sure you spend at least one weekend in town to check out a festival! There’s a festival every weekend from June to September, including the famous Edmonton Fringe, Canada’s version of the famous Edinburgh theatre festival. The event that traditionally kicks off the summer festival season is the Edmonton Pride, happening from June 8th to 17th this year – even longer than the famous Pride in Tel Aviv! The main day is June 9th, the day of the traditional Pride Parade all down Whyte Ave and 104th Street, ending with a big party in the park. Do you want one more reason to visit Edmonton? There’s a cat festival! This year it takes place on Saturday, May 26th, and it’s a far cry from the usual cat festivals, with beauty contests and cat merchandise. The Edmonton Cat Festival is not for profit, and aims to raise money for cat shelters around town – since 2014, they managed to raise over $60,000. Edmonton is an amazing food destination – if you’re only spending three days in town like we did, deciding where to eat will be a challenge. Whatever you do, make sure you have dinner at Bar Clementine, a recently-opened bar on Jasper Ave/120th. 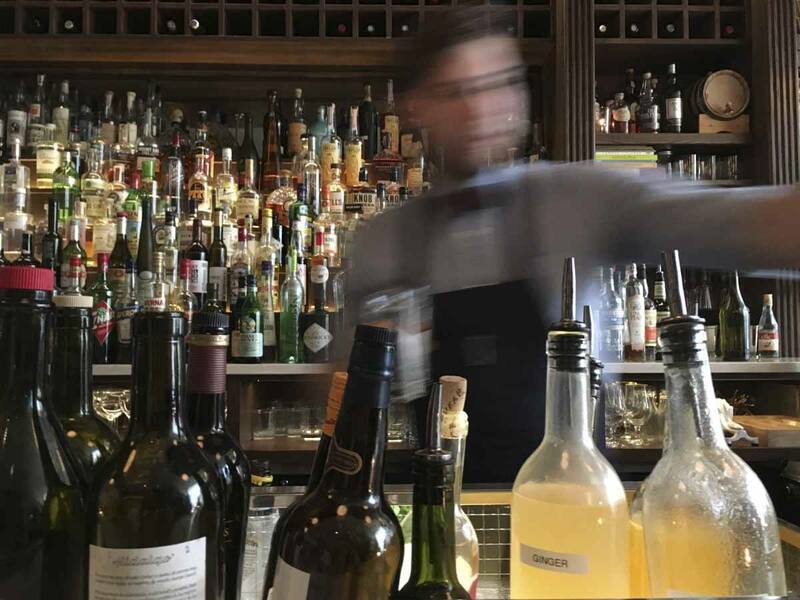 Two reasons – the excellent cocktails, crafted one by one by the resident mixologists, and the delicious small-plate dining, featuring Canadian delicacies like smoked PEI mussels and fusion dishes like pork escabeche with sambal. On top of that, the bar is inspired by Art Nouveau, and the interiors are absolutely beautiful. There you are! Three reasons to visit Bar Clementine, definitely one of our favourite things to do in Edmonton! If you’re more of a beer person, head to Situation Brewing instead! This microbrewery is in the heart of Old Strathcona and it’s very popular at weekends, both for their brews and quality pub grub. We sampled almost all the beers they had on the menu (yes, I KNOW) and our favourites were definitely the Page Turner IPA and WTF blood orange, a sour beer perfect on a warm day. Food wise, don’t miss the buttery pretzels with buttermilk aioli and cheese beer dip. The only trouble is that you’ll be ruined forever when it comes to pretzels – they were by far the best we’ve ever had. If you can, make sure to be in Edmonton on a Saturday to visit the Old Strathcona Farmers Market, open from 8 am to 3 pm in an indoor space just off Whyte Ave. This is the real deal when it comes to farmers markets – no reselling is allowed, so you can rest assured you’ll be purchasing directly from the producer. You’ll find a variety of fruit and veg, meat, homemade jams and preserves, craft beer, juices and even Alberta fruit wine, homemade kombucha and lots of green onion pancakes, Edmonton’s favourite snack! If you’re used to a Europe-style farmers market with lots of street food, you may be disappointed – there’s a cafe within the market, but otherwise vendors sell food to be cooked elsewhere. However, fear not – you’re in the heart of Old Strathcona after all, with plenty of delicious lunch choices on your doorstep. Whyte Ave is full of cool shops, from independent boutiques, to bookstores and the like – and Gummi Boutique is definitely one of the most unique! The shop is all dedicated to sweets (or ‘candy’ as they say in Canada) and soft drinks (also known as ‘soda’). 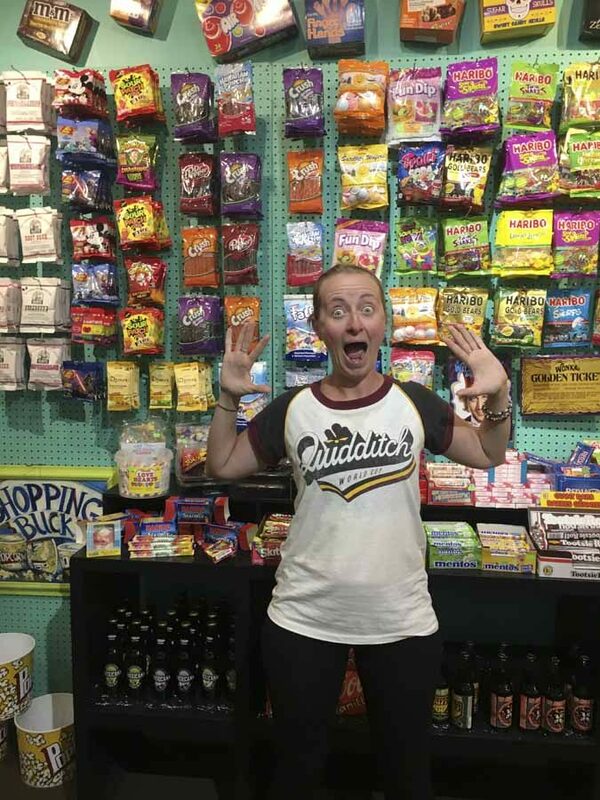 You’ll find a whole wall with jars of sweets to mix ‘n match, Haribo and others, all kind of jelly beans, vintage sodas in unusual flavours and even two kinds of sweets I hadn’t seen since the 1980s – PEZ and Nerds! Gummi is the kind of place that will unleash your inner child, while giving you a sugar rush at the same time. Don’t miss it! Another reason to love Edmonton is that the city is totally coffee-obsessed. 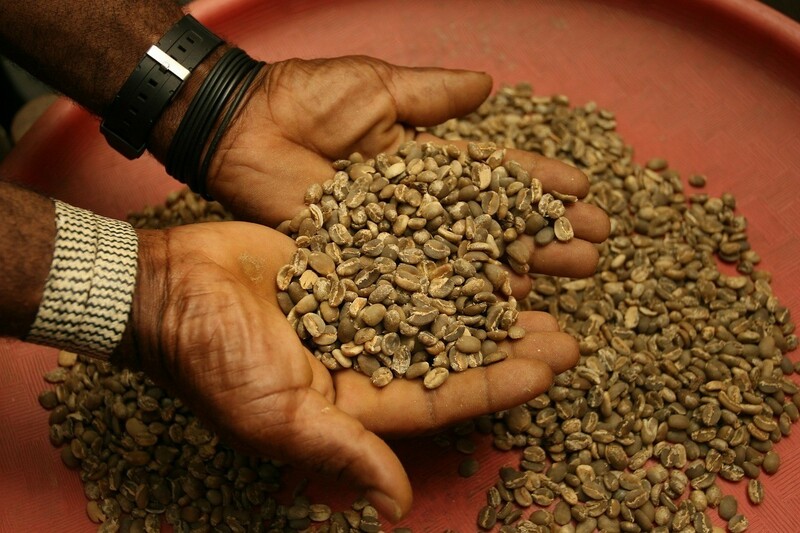 And I’m not talking Italy-style, where good coffee is basically a given – I’m talking Australia-style, where coffee making has been elevated to a true culinary art. You could very easily spend a week or so just touring Edmonton’s best coffee shops, a great idea if it’s raining, or you’re visiting the city in winter. The weather was lovely when we visited so we just managed to visit two – Remedy, an Edmonton institution and hybrid of café and Indian restaurant, famous for its spiced chai and veggie wrap, and BRU Coffee & Beer House, serving both excellent coffee and beer! 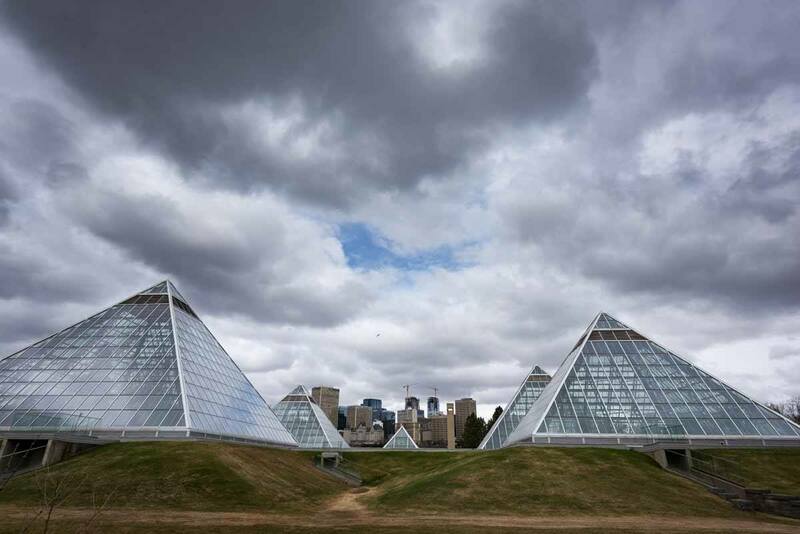 Looking at Edmonton from above, you might see four glass pyramids rising out of the prairie to the south of the city. What are they, you may ask? The four pyramids are actually the ‘star attractions’ of the Muttart Conservatory, Edmonton’s botanical gardens. The pyramids house plants displays coming from different ecosystems – three are permanent, featuring plants and flowers from the tropics, deserts and temperate climates, while the exhibition in the fourth pyramid rotates seasonally. 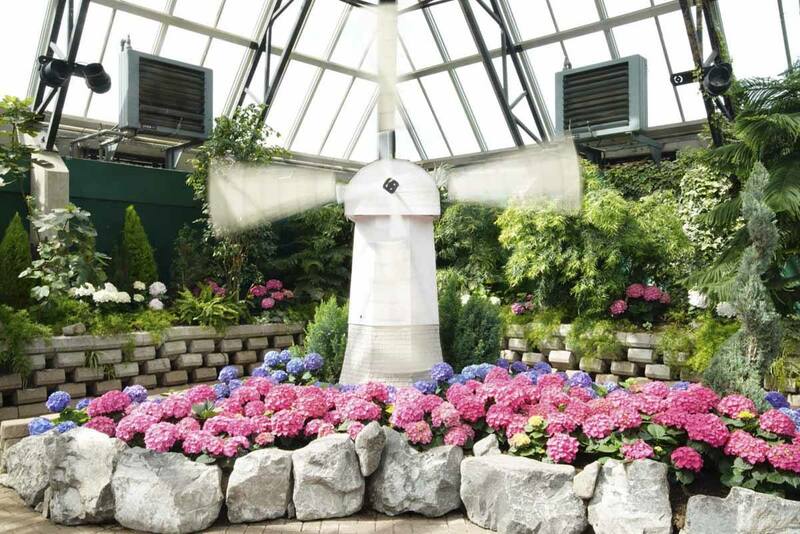 When we visited, it was dedicated to hydrangeas in a faux-European setting, with reproductions of Stonehenge, the Eiffel Tower, Dutch windmills and a Greek-Roman temple. If you want to get a good view of the four pyramids framing the city, just walk around them from the entrance – you’ll get the view on the pic at the top of this article! The #1 on our list of things to do in Edmonton was definitely visiting the River Valley – after all, we love ‘finding nature everywhere’! As we said before, the Edmonton River Valley is the longest stretch of urban parkland in North America, about 48 km long – a bit too long for a hike, and the constant ups and downs mean that if you want to cycle, you’ll need really strong legs. The solution? E-Bikes! We’ve tried e-bikes two years ago, during our trip to Levanto, and loved it – and we loved our experience in Edmonton even more. Our tour was organised by Revolution Cycle, the best bike shop in town, and took us all along the valley, crossing the river several times over the course of the morning and checking out some Edmonton points of interest like the period houses next to the river in Walterdale, Fort Edmonton Park, and the Talus Dome, the new addition in Edmonton’s public art scene. I don’t know exactly how far we cycled, but I can guarantee that it was a fair distance since we were on the saddle for about three hours, with a lot of ups and downs – and I wasn’t tired at all. On top of that, our guide Mike was brilliant. Definitely recommended! E-Bikes are ideal to cover large distances along the river valley, but if you’re just after a short stroll, the River Valley is always a good idea. There’s only one issue – it’s quite a steep walk down to reach the river valley from downtown, which means also a steep walk up on the way back. 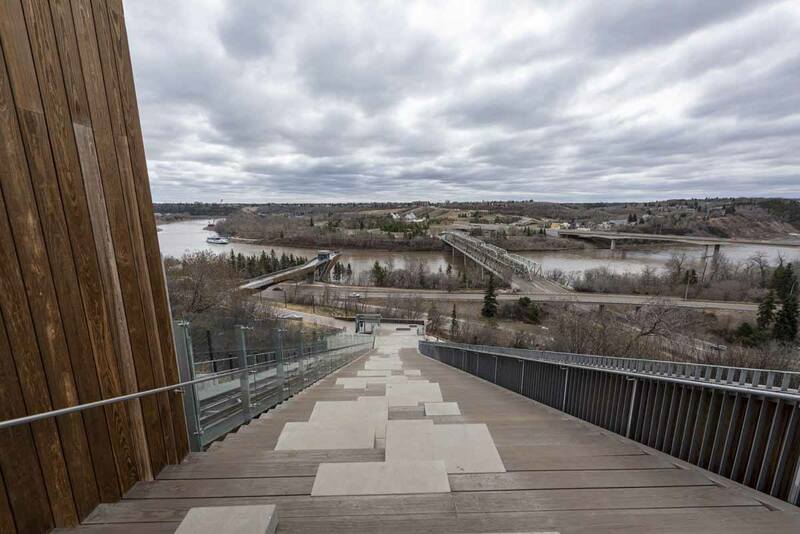 Luckily, the City of Edmonton has come to the rescue of all lazy hikers, and built a funicular on 100th street, leading you straight down to the river valley – and up again, completely free of charge. From the top of the funicular there’s also a great view over the river valley and the Muttart Conservatory. 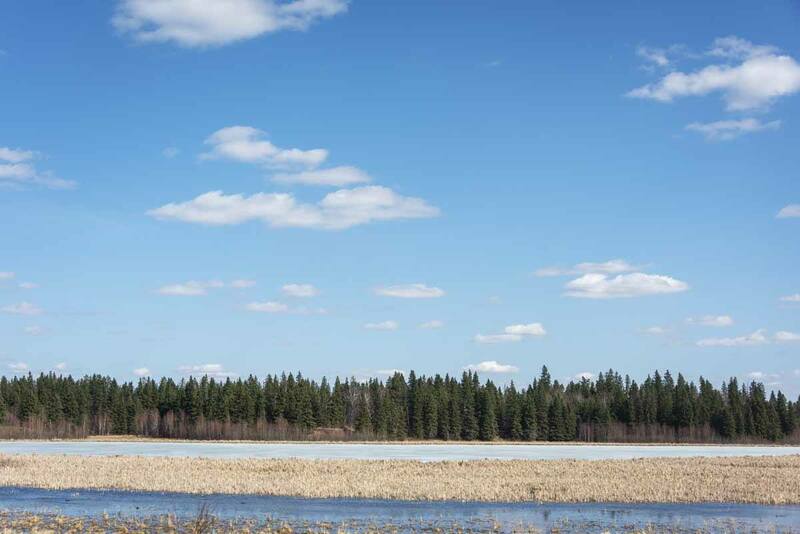 There’s a lot of nature to explore in Edmonton, but if you’re looking to really get way from the city, the best thing to do is heading to Elk Island National Park, just 45 km east of the city. 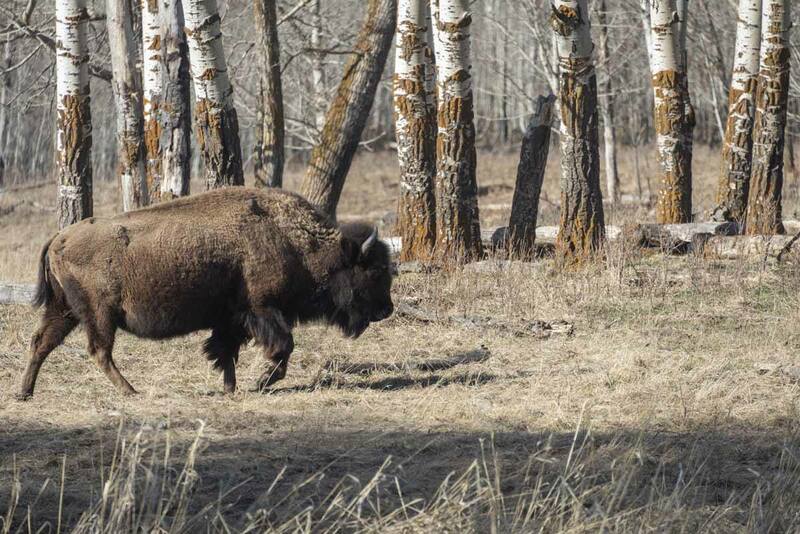 The park was instrumental in the conservation of two bison species, the plains and the wood bison, who now inhabit two distinct sections of the park – plains bison can be found north of the Yellowhead Highway, and wood bison (the largest species) are located south. There are also several other animals living in the park – elk, coyotes, deer, wolves and many more. Besides bison, quite easy to spot, the second-easiest animal to see are beavers – you can just head to the hiking loop called ‘Beaver Ponds’, in the northernmost section of the park, where you’ll be able to spot beavers swimming back and forth before diving into the water with their signature tail-flip. Here’s how beavers say hi! We only spent one afternoon in Elk Island National Park – first driving up and down looking for bison, and finally hiking the Beaver Ponds loop around sunset time. However, the park deserves to be explored further – there are loads of hiking trails to follow, ranging in distance from 500 meters to 15 kilometers, as well as opportunities to go hiking and kayaking. I guess we’ll need to head back to Edmonton, so many things to do! From Canada, you can easily reach Edmonton with domestic flights from all major airports. We flew with Air Canada from Toronto, an easy 4 hour flight. If you’re flying internationally, you can stop over in Toronto or Vancouver before connecting to Edmonton, depending whether you’re coming from the East or the West. However, there are also direct flights between Europe and Edmonton – WestJet flies from London Gatwick on Monday and Saturday in July and August, KLM flies direct from Amsterdam on Tuesdays, Thursdays and Saturdays, and Icelandair flies direct from Reykjavik to Edmonton daily. Edmonton airport is located about 30 km south of town. We rented a car so it was an easy 30 minute drive. A taxi or Uber will cost you between $40 and 50 CAD, depending whether you’re staying in Strathcona or downtown. There’s also bus number 747 connecting the airport to the city for a fare of $5 CAD. Edmonton is fairly spread out, with points of interest scattered all over town. If you don’t want to drive, you can use Uber or public buses, at a cost of $2.50 CAD per journey. Driving in Edmonton is easy! If you’re planning to visit Elk Island National Park, we highly recommend hiring a car – as far as we could tell, there’s no public transport and the park is too large to cross on foot. 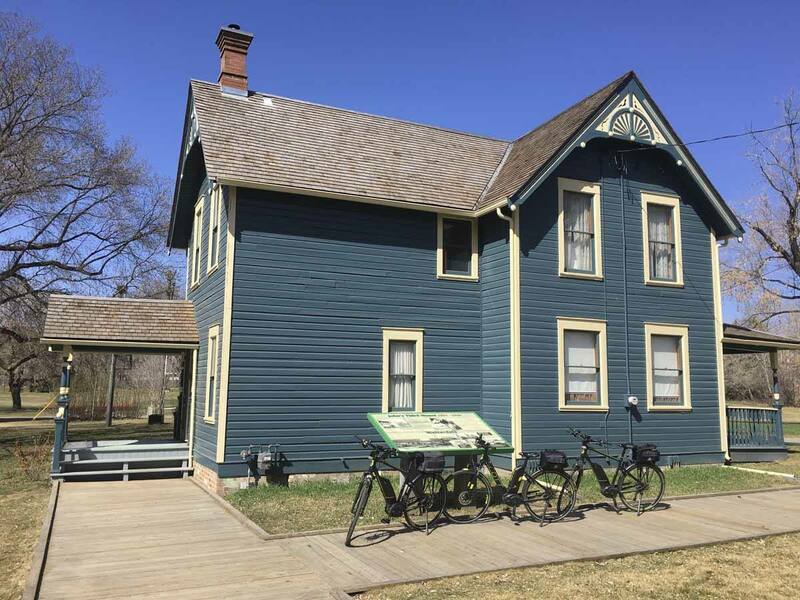 If you’re visiting between late May and late August and don’t have a car, Big E Tours runs trips to Elk Island and the Ukrainian Village, an open-air museum recreating the history of the first Ukrainian settlers in Alberta. Matrix Hotel – this is where we stayed! A large, modern hotel in the downtown area with a tasty buffet breakfast, fireplace at reception and free wine and cheese every night! The Fairmont Hotel MacDonald – if you like classic luxury, this is for you. The hotel was built in 1915 and retains that Old World, historic feel while offering services like a restaurant and spa. The view over the River Valley are amazing! Metterra Hotel on Whyte – for those who’s rather stay in Strathcona, this contemporary hotel with artsy touches is a great option. There’s also a library, and complimentary wine and cheese! Varscona Hotel on Whyte – another brilliant choice in Strathcona, with stylish rooms and (yes, you guessed it) complimentary wine and cheese! Do you really need any more reasons to visit Edmonton? We would like Nancy Gordy from Explore Edmonton for organising our visit to the city, and thanks Linda for being an awesome guide!